This four-panel No Man Left Behind Model card is the perfect tool to provide an overview of the Model to other leaders in your church and community. 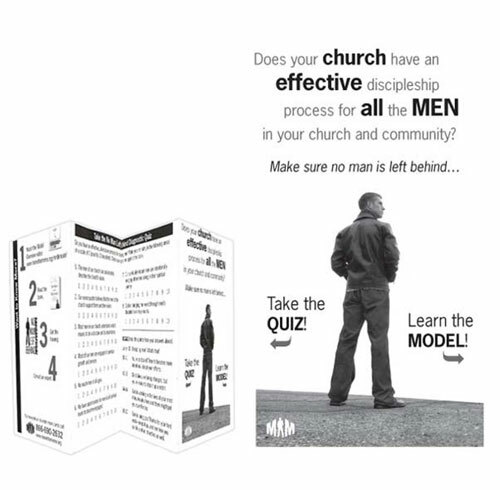 Each aspect of the Model is briefly explained, and a men’s discipleship quiz helps leaders see the importance of reaching and discipling men, as well as assess the effectiveness of their current efforts. Looking for in-depth leadership training based on the No Man Left Behind Model? Visit www.nomanleftbehind.org to learn more.